It’s a tune the Antietam School District has heard before: The district is once again exploring the possibility of merging with Exeter Township School District. This is not the first time the neighboring districts have considered merging, nor the second. Or even the third. The idea has been discussed, repeatedly, as far back as the 1960s. And for some Antietam residents, the history of failed mergers clouds their opinion of a new consideration. Geisinger Among 15 Top Health Systems In U.S.
DANVILLE, PA – A new study ranks Geisinger Health System as one of the top 15 health systems in the United States. The fourth annual Thomson Reuters 15 Top Health Systems study recently reported Geisinger was among the 15 hospital systems singled out for achievement in clinical outcomes based on balanced system-wide clinical performance according to data collected from more than 300 organizations. That performance measures included care quality, patient perception of care and efficiency. Geisinger was one of just two Pennsylvania healthcare systems making the list. The other was Main Line Health in Bryn Mawr. TriCounty Community Network’s (TCN) Homeless Services Program, consisting of 40 local organizations, is hosting a Rethink Homelessness Community Forum on Thursday, February 9. The goal of the forum is to provide an opportunity for discussion about homelessness, how we define homelessness, and how we are addressing homelessness as a community. The keynote speaker will be Will O’Brien, Special Projects Coordinator at Project H.O.M.E., a non-profit providing housing and services to chronically homeless men and women in Philadelphia and empowering them to break the cycle of homelessness and poverty. He will be introduced by Rev. Marvin Marsh of Pottstown First Baptist Church. The program will also include stories from homeless individuals and volunteers, as well as educational information and a Q&A session. TCN is a 501(c)(3) nonprofit, membership-based organization that partners with nonprofits, businesses and community members to improve health, social and environmental conditions. 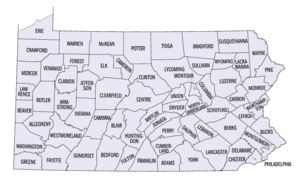 Serving Western Montgomery, Northern Chester and Eastern Berks counties in Pennsylvania, TCN offers seven key programs: Build Up Youth, C.A.R.E. (Caring in Alternative Residential Environments), Environmental Awareness, Family Literacy, Homeless Services, SAFE (Supporting Abuse Free Environments), and Workforce Development. For more information on TCN, visit www.tcnetwork.org. This event is free. A lite dinner will be provided. Members of the media should RSVP to Karen Higgins, A&E Communications, at khiggins@aandecomm.com or 610-831-5723. Others interested in attending should contact TCN at 610-705-3301 ext. 2. Registration is recommended but not required. Clipper Magazine laid off 40 of the 600 employees at its Mountville headquarters Thursday, a company spokesperson said. “Our business model has changed a little bit, and our efficiency has increased. So we eliminated positions we no longer need,” the spokesperson said. The affected positions were in art production and sales support. New technology was one factor in the need for fewer people, the spokesperson said. The second and more significant factor was a change in how some markets are being served. Many Manheim Township residents are “concerned” about the size of the community’s deficit, new township Commissioner Dave Heck said. And the commissioners, the township’s decision-making board, need “to start immediately” to look for ways to chop that $3.2 million deficit way down, Heck said. The other commissioners agreed, voting this week to take the unusual step of reopening their township’s already approved 2012 budget. Hoping to find ways to reduce that deficit, the five-member board voted Monday to take a new look at the 2012 spending plan. The Bon-Ton is in the red, but its new president and chief executive officer will be in the pink. Brendan L. Hoffman will start with a $5.7 million compensation package, consisting of annual salary, various bonuses and restricted stock. The York-based retailing chain disclosed the pay Wednesday in a filing with the Securities and Exchange Commission. In the filing, The Bon-Ton said the former Lord & Taylor CEO will begin with a $1 million salary. POTTSTOWN, Pa. (AP) — A suburban Philadelphia middle school’s ban on a popular type of fur-lined boots isn’t about fashion, it’s about cellphones. Pottstown Middle School parents were informed of the new ban on the unlaced boots on Wednesday. District community relations director John Armato said students are using the boots to hide cellphones and bring them into class. Current school policy allows students to bring their phones to school but requires them to be kept in their locker during the day. Spring Township-based VIST Financial Corp. was sold today to Tompkins Financial Corp. for about $86 million. This makes me feel OLD! Robert Hegyes, who played Juan Epstein on ’70s sitcom “Welcome Back, Kotter,” died Thursday, the New Jersey Star-Ledger reports. 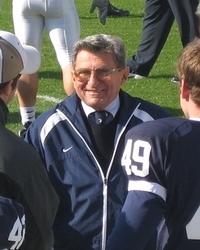 Hegyes, who died of an apparent heart attack after suffering chest pains at his Metuchen, N.J., home, was 60. Hegyes had not been in good health for the past two years, his brother Mark Hegyes told the paper. The actor had suffered a previous heart attack in recent years. Police responded to an emergency call from Hegyes’ home at approximately 9 a.m. He was transported to JFK Medical Center in Edison, N.J., but at that point he had gone into full cardiac arrest. Pottstown, Pennsylvania — Pottsgrove Manor will be hosting a colonial cooking workshop, entitled “Chocolate in the Very Best Manner,” on Saturday, February 11th from 10:00am to 3:00pm. Have a hand in preparing—and eating—colonial chocolate dishes in this hands-on workshop. Foodways historian Deborah Peterson of Deborah Peterson’s Pantry will teach participants how to prepare authentic chocolate “receipts” in Pottsgrove Manor’s reconstructed 18th-century kitchen. Participants will receive a booklet of all the recipes prepared during the workshop. The workshop is open to participants ages 12 and up. There is a $50 fee per person. Spaces are limited, and registration and payment are required by February 7th. Workshop attendees should wear comfortable clothing and bring an apron and a sack lunch. In case of inclement weather, the workshop will be held Saturday, February 18th. A printable registration form is available at http://historicsites.montcopa.org/pottsgrovemanor. Call the site at 610.326.4014 to register or for more information. Regular museum hours are: Tuesday to Saturday, 10:00 a.m. to 4:00 p.m. & Sunday, 1:00 to 4:00 p.m. Tours are given on the hour; last tour of the day begins as 3:00 p.m. Groups of 10 or more should pre-register by calling 610.326.4014. Sample tastes of mostly chocolate creations by area confectioners, restaurants, hotels and caterers. Enjoy the live entertainment, silent auction, children’s activities and the impressive cake competition. West Chocolate Ave. & University Dr.
1:00 p.m. to 2:45 p.m.
3:15 p.m. to 5:00 p.m.
ROCHESTER, NY — Eastman Kodak Co., running short of cash and unable to sell 1,100 digital imaging patents that could have rescued it, filed Wednesday for protection from its creditors under Chapter 11 of the U.S. Bankruptcy Code. “After considering the advantages of Chapter 11 at this time, the board of directors and the entire senior management team unanimously believe that this is a necessary step and the right thing to do for the future of Kodak,” CEO Antonio M. Perez said in announcing the decision. The five-county region of Luzerne, Lackawanna, Columbia, Sullivan and Wyoming counties has the highest incidence of heart disease death in Pennsylvania, according to the Centers for Disease Control and Prevention. These counties are the only ones in the state falling into the CDC’s most distressing category, showing 455 to 651 of every 100,000 deaths in people over age 35 are a direct result of heart disease. Dr. Thomas Isaacson, chief of cardiology at Geisinger Wyoming Valley Medical Center’s Richard and Marion Pearsall Heart Hospital in Plains Township, said this area has a high rate of heart disease due to a number of risk factors here, especially smoking. “We know smoking has a big impact on this,” Isaacson said. “We have a high prevalence of smoking in our communities. Now that Lehigh Valley International Airport‘s flirtation with Southwest Airlines has ended, airport officials are turning to plan B. That will include trying get existing airlines to add new routes and getting new airlines like Frontier and Spirit to move into LVIA, Airport General Manager Charles Everett said. And they’ll be looking to do it fast, because not only is Southwest not coming, the airport’s largest discount flier, AirTran, will be departing Aug. 12. PLEASE NOTE: This production is also available for school groups and clubs at the Tri-PAC or off-site from February through May. Howdy folks! Come down to the holler to meet Goldie (Goldilocks) who is just about to celebrate the birthday that will make her a “teen Ager”. And what does she do? She runs away from her home and her strict parents, only to find the country cottage of the most fun lovin’, partyin’ three bears you ever did see. A down home musical for the entire family (especially for ages 5 – 12), GOLDILOCKS AND THE DOWNHOME BEARS celebrates family and friendships, and the joys and challenges of growing up for both kids AND parents! Allentown, Pa. (Jan. 23, 2012) — Muhlenberg College will showcase world premiere dance works created by six of the region’s most accomplished choreographers, in the College’s annual Master Choreographers dance concert, Feb. 9-11. The concert will also feature a restaging of a work by the acclaimed contemporary ballet choreographer George Balanchine. Featuring a diverse selection of styles and genres, including classical ballet, jazz, tap, and modern dance, Master Choreographers will also showcase performances by more than 40 Muhlenberg dance students. The performance takes place on the Empie Theatre stage, in Muhlenberg’s Baker Center for the Arts. The evening also will feature original dance works by: Corrie Franz Cowart, co-artistic director of Co-Art Dance; Heidi Cruz-Austin, alumna of the Pennsylvania Ballet; Olase Freeman, co-artistic director of BaldSoul modern dance company; Dorrell Martin, director of the Joffrey Ballet School‘s jazz and contemporary program; Shelley Oliver, director of Shelley Oliver Tap Dancers; and New York-based contemporary choreographer Sydney Skybetter. Deborah Wingert, serves as a Baker Artist-in-Residence, sponsored by the Dexter F. and Dorothy H. Baker Foundation. She has been associated with George Balanchine and The Balanchine Trust for more than 25 years, as a dancer, choreographer, and teacher. Full biographies of the choreographers follow. Performances of “Master Choreographers” will take place Thursday, Feb. 9, at 8 p.m.; Friday, Feb. 10, at 8 p.m.; and Saturday, Feb. 11, at 2 and 8 p.m. Tickets are $15 for adults and $8 for patrons 17 and under. Performances are in the Empie Theatre, in the Baker Center for the Arts, Muhlenberg College, 2400 Chew St., Allentown. Information and tickets are available at 484-664-3333 or muhlenberg.edu/dance. 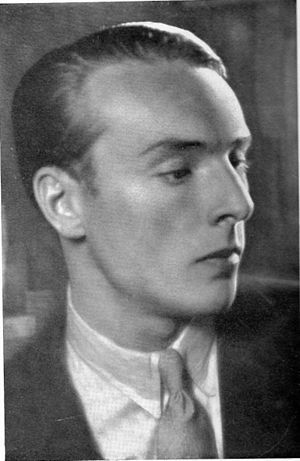 George Balanchine (1904-1983) was born in St. Petersburg, Russia, and is regarded as the foremost contemporary choreographer in the world of ballet. He came to the United States in late 1933, at the age of 29, accepting the invitation of a young American arts patron Lincoln Kirstein, whose great passions included the dream of creating a ballet company in America. The first product of the Balanchine-Kirstein collaboration was the School of American Ballet, founded in 1934, an American academy of ballet that would eventually rival the long-established schools of Europe. Eventually, with a performance on Oct. 11, 1948, the New York City Ballet was born. Balanchine served as its ballet master and principal choreographer from 1948 until his death in 1983. Balanchine’s more than 400 dance works include “Serenade” (1934), “Concerto Barocco” (1941), “Orpheus” (1948), and “Mozartiana” (1981). His final ballet, a new version of Stravinsky’s “Variations for Orchestra,” was created in 1982. A major artistic figure of the twentieth century, Balanchine revolutionized the look of classical ballet. Although at first his style seemed particularly suited to the energy and speed of American dancers, especially those he trained, his ballets are now performed by all the major classical ballet companies throughout the world. Marisa Cerveris is a former dancer with The New York City Ballet, Compania Nacionale de Danza, and Ballet du Capitole de Toulouse. She is currently the owner of ByMarisa: handmade, couture quality, designer dancewear, pilates-wear and yoga-wear, the only elastic-free bodywear on the market. ByMarisa apparel has been featured in Sony Pictures’ “The Company,” starring Neve Campbell, and on the hit ABC series “Dancing with the Stars,” season 10. ByMarisa is manufactured completely in the USA. Corrie Franz Cowart has performed with the Mary Miller Dance Company, LABCO Dance, Minh Tran and Company, the Dance Theatre of Oregon, and the Pittsburgh Opera. She is also the co-artistic director of Co-Art Dance and has performed both nationally and internationally with Impact Productions’ “Dayuma,” and “The Masterpiece.” Cowart continues to perform and choreograph for her own company Co-Art Dance, a contemporary dance company she co-founded in 1997 with her husband Tim Cowart. Corrie is an assistant professor at Muhlenberg College, where she teaches modern, dance composition, and dance on camera. Heidi Cruz-Austin is an alumna of the Pennsylvania Ballet, and she has danced featured roles in works by choreographers ranging from Alvin Ailey to George Balanchine. In addition to dancing with Pennsylvania Ballet, Cruz-Austin has performed with the Philadelphia-based company Ballet X and as a guest artist throughout the United States and Europe. As a choreographer, Cruz-Austin was a winner for the 2003 Ballet Builders showcase in New York City. She has been commissioned to create works for Franklin and Marshall College, Bryn Mawr College, Repertory Dance Theater, and Ballet D’errico, and she was a recipient of the 2004-2005 New Edge Residency at The Community Education Center of Philadelphia. Olase Freeman recently completed his Master of Fine Arts degree at the University of Wisconsin, Milwaukee, focusing on issues of black post-modernism. He is honored to serve as the 2011-2012 Visiting Lecturer in Dance at Muhlenberg College. A partial list of the companies with which he has worked include Jane Comfort & Co., Creach/Dance and Marlies Yearby’s Movin’ Spirits Theater, Headlong Dance Theater, and Leah Stein Dance Company. Mr. Freeman’s choreographic work has been performed in such diverse venues as The Brooklyn Arts Exchange (BAX), Movement Research at Judson Church, Links Hall (Chicago), the Cunningham Studio, Joyce/Soho, Dixon Place, Thelma Hill (Long Island University), and the Philadelphia Fringe Festival (2002). Mr. Freeman is the co-artistic director of BaldSoul, a company he shares with his partner in dance, and life, Kathryn McNamara. Dorrell Martin is founder of LEON Dance Arts NY, a jazz and contemporary dance program associated with LEON Contemporary Dance Company/NY, of which Martin is the artistic director. Martin, a native of Houston, Texas, is the creator/director of the jazz and contemporary program at the Joffrey Ballet School. He is also former artistic director of Houston Metropolitan Dance Company. Martin was a soloist for the national and international touring company of “A Few Good Men Dancin” and has danced in shows such as “Aida,” “West Side Story,” “The Lion King” and “Swing.” Martin has also performed with many professional companies, including Arch Dance, Locke Contemporary Dance, Houston Grand Opera, Metropolitan Opera, and Richard Rivera’s PHYSUAL as well as Radio City’s Christmas Spectacular, just to name a few. Shelley Oliver has more than 20 years experience as a professional tap dancer. She is a founding member of the noted dance ensemble “Manhattan Tap,” and she has toured extensively throughout Europe, China, the Caribbean, Canada and the United States, performing with such tap notables as Savion Glover, Jimmy Slide, Buster Brown and Chuck Green. She has conducted lecture demonstrations for Lincoln Center, New York City public schools, and universities throughout the United States. She teaches a comprehensive jazz tap program at Muhlenberg College and directs the Muhlenberg Jazztap Ensemble, providing community outreach programs in the Allentown area. Oliver’s piece will feature live musical accompaniment by the David Leonhardt Jazz Group. Sydney Skybetter is a choreographer, curator, and consultant for performing arts organizations. After studying at the Interlochen Arts Academy, Columbia University, and New York University, Skybetter performed with Christopher Williams and the Anna Sokolow Foundation. His choreography has been presented in New York at The Joyce Theater, The Joyce SoHo, Dance Theater Workshop / New York Live Arts, Jacob’s Pillow, and The Danspace Project at St. Mark’s Church, among many others. Skybetter is a founding partner at Edwards & Skybetter | Change Agency, which provides product development, brand management and technology consulting for such international organizations as the Mark Morris Dance Group and the DBNA Group, and has written about performance history and technology for the Ballet Review and The Huffington Post. He received his Master of Fine Arts in dance performance and choreography from New York University. Deborah Wingert was selected by George Balanchine at age 16 to join the company of the New York City Ballet. During her 15 years with the company, Ms. Wingert danced over 25 principal, soloist, and featured roles in productions that include Balanchine’s “A Midsummer Night’s Dream,” “Coppelia,” “Orpheus,” “Prodigal Son,” Peter Martins’ “The Sleeping Beauty,” and many more. A principal and soloist with numerous nationally acclaimed companies, her film and television credits include “The Nutcracker” (Time-Warner), PBS Great Performances’ “Dinner With Balanchine,” and Live from Lincoln Center’s “A Midsummer Night’s Dream.” Ms. Wingert is a prize-winning choreographer, and is one of a small group of artists selected by the Balanchine Trust to set his choreography. Karen Dearborn, artistic director, has choreographed more than 70 works in concert, theater, and musical theater, including national tours of the Tony Award-winning National Theatre of the Deaf and several Equity theatres. She has provided choreography for the Muhlenberg theater productions of “Oklahoma!,” “Urinetown,” and “West Side Story,” and Muhlenberg Summer Music Theatre productions of “The Sound of Music,” “The Who’s Tommy,” and “Oliver!” to name just a few. Dearborn is the founding director of Muhlenberg’s dance program. Her scholarly research has been published in the Journal of Dance Education, and she contributed an essay to the book “Performing Magic on the Western Stage.” She serves on the executive board of the American College Dance Festival Association. Muhlenberg College is a liberal arts college of about 2,200 students in Allentown, Pa. The College offers Bachelor of Arts degrees in theater and dance. Princeton ranks Muhlenberg’s theater program first in the nation, and the Fiske Guide to Colleges lists both the theater and dance programs among the top small college programs in the United States. Muhlenberg is one of only eight colleges to be listed in Fiske for both theater and dance. Editor’s note: What many people do not realize is that Lititz is the home of three companies that are legendary in the music business. Clair Global, Atomic Design and Tait Towers. These three companies are sound, scenery/lighting and staging giants. This is a great example of a win-win collaboration for everyone involved and a project that provides continued economic development for downtown Lititz. A beer, a brainstorm and a boost for downtown Lititz. About nine months ago, local executive Soren West was having a beer at the Bulls Head pub in the General Sutter Inn with Paul Pendyck, a partner in the inn. The conversation turned to Pendyck’s vision for the pub and inn, two valuable parts of downtown Lititz’s economy and social scene. Pendyck said he wanted to renovate the inn’s 16 guest rooms, including its little-used top floor, except that the undertaking was too expensive. Editor’s note: I find the stupidity here beyond comprehension. Not just on the part of the thief but also on the part of the second employer for not doing a background check! Kelley Lee Breniser was spared prison last April, the first time she was sentenced for stealing from her employer. She wasn’t so fortunate the second time. A Lancaster County judge jailed Breniser for 9 to 23 months for stealing more than $11,600 from a different employer. In both cases, Breniser served as property manager for local housing communities.